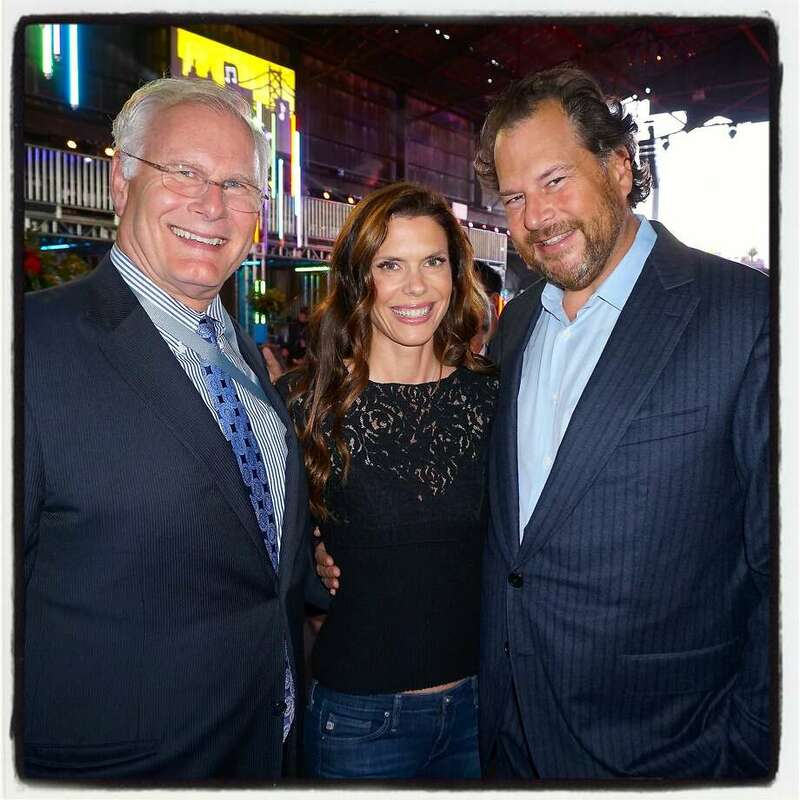 Music, once again, was the mighty prescription in raising $10 million at Pier 70 in support of UCSF Benioff Children’s Hospitals during the sixth Dreamforce Concert for the Kids. And 50,000 blue-lanyard-adorned attendees (ponying up $500 to $5,000) delightfully descended from “the cloud” to touch down at this Dogpatch warehouse where Salesforce founder Marc Benioff, his wife, philanthropist Lynne Benioff, and the Salesforce Foundation hosted a rockin’ spectacular (starring Foo Fighters, the Killers, and Gary Clarke Jr.) amid Benioff’s annual Dreamforce conference. That tradition included presentation of the Gen. Colin Powell Award of Courage to former patient Zhenkang Zhao. As well as a gourmet Paula LeDuc buffet for some 3,500 VIPs within the sprawling space featuring three stages, numerous high-def screens and a post-party hosted by the Ron Conway Foundation and starring will.i.am and MC Hammer. Since this world-class facility opened at Mission Bay, the biggest issue, said UCSF Benioff Children’s Hospital CEO Mark Laret, is that it is full.